Today is our card kit reveal day!!! I have a few scrappy friends who i've met on message boards throughout the years and we take turns sending card kits to each other. It's such a great way to stay in touch with friends and be creative, too! 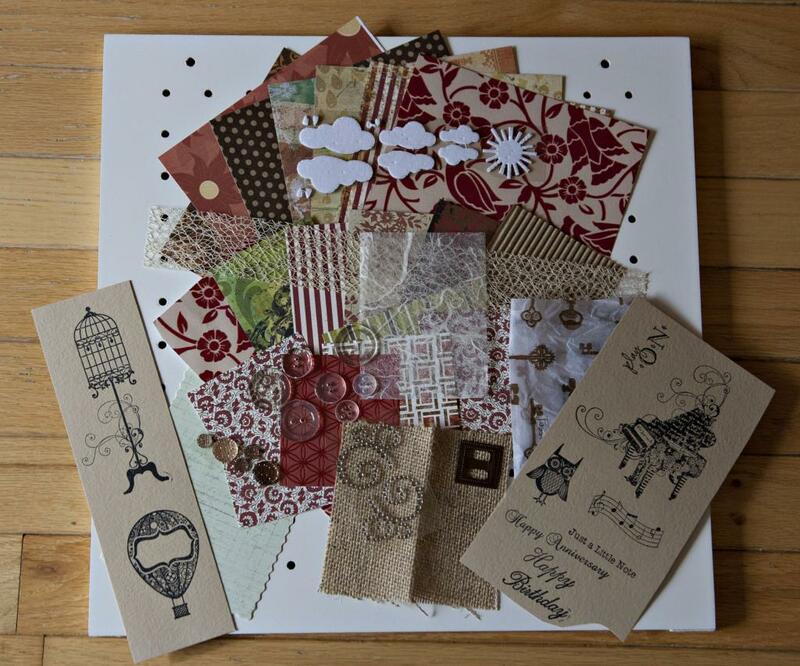 Terri sent the kit this month and it's a beauty!! I love it because it's very different from my usual style and it was great fun to step out of my comfort zone. Here is my first card. The big piano stamp is just so detailed! 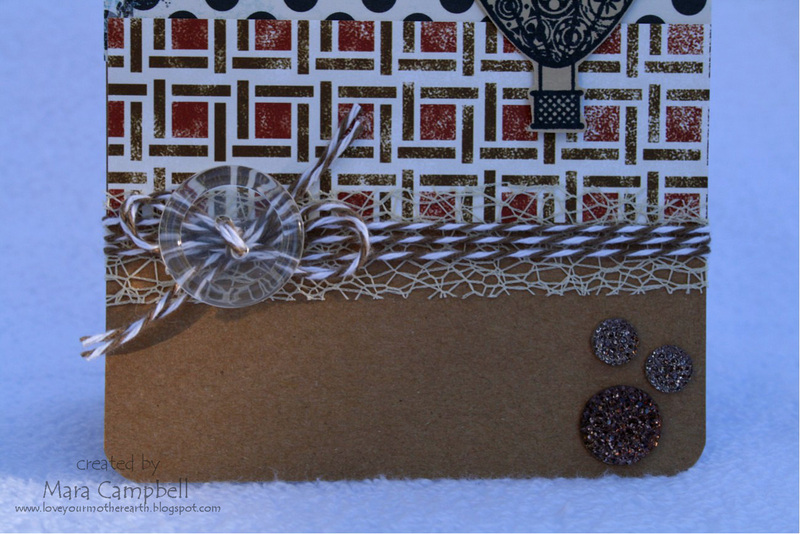 I fussy cut it and layered it with the corrugated cardboard, mesh, and patterned paper. My second card uses the great hot air balloon stamp Terri sent, I couldn't pass that up. I thought it would be different to tie the twine bow behind the button, since the button is transparent. The clouds are the perfect compliment!! THANK YOU Terri for such a great kit! It was really fun to work with. Please check out the other girls and what they did with their kits this month! Mara, I love the cards! I almost cut out the piano like you and Terri did, but then I would have to find my husband's readers to do it, lol! I like how you used the corregated board for a mat. I didn't even think of that! I hope you are having a great trip! Mara, I love your cards, all very creative. Looks like it was a fabulous kit to play with. Happy Thanksgiving! 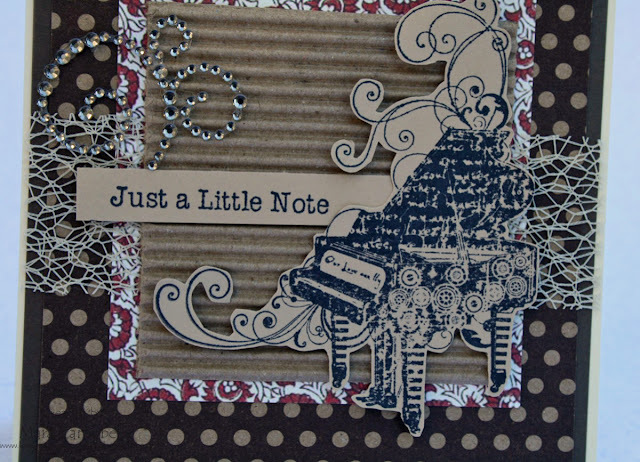 gorgeous cards and LOVE LOVE the colors and way you mixed em!!! 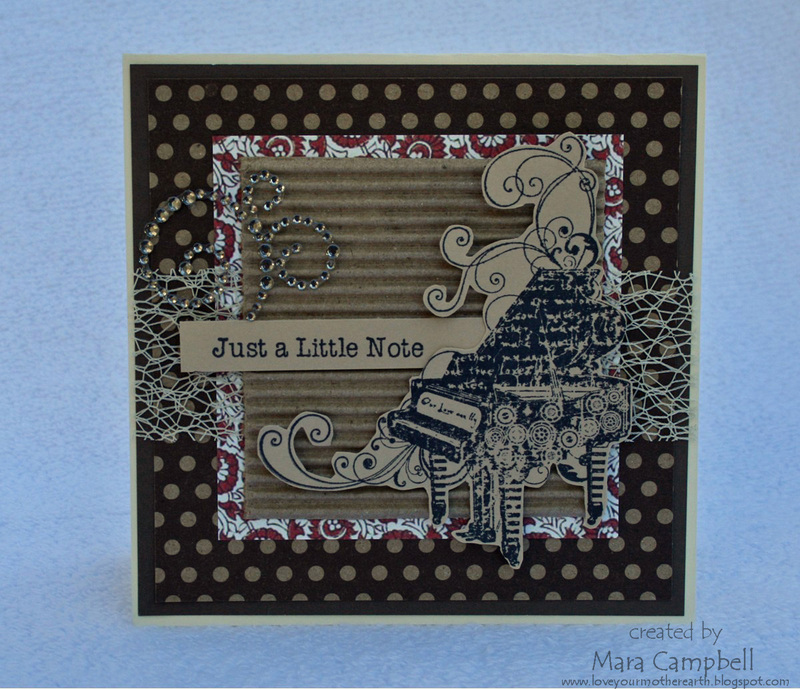 LOVE your cards Mara! 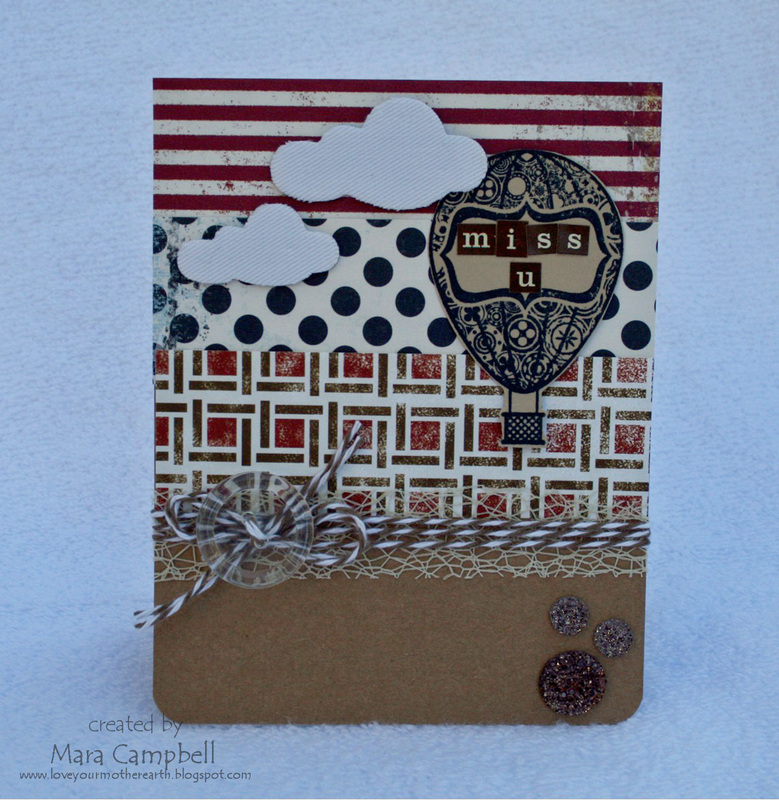 I especially love that hot air balloon! Great job with the kit! What a FUN kit! I LOVE your cards! The cardboard and mesh are wonderful together! Happy Thanksgiving! What a fun card kit!! Love your cards!! They are all so very beautiful & creative!! love love love the kraft! Mara I LOVE ALL your cards!! What a FUN kit! I sure love doing our groups!!! Always INSPIRING to see what is created with the same supplies! your trip was FABULOUS! Cant wait to hear all about it!!! oh i totally loooove those! great colors. Beautiful! Love it! Good work! Thank you..